The series kicks off with long-term collaborators Adam Broomberg and Oliver Chanarin, whose unusual and innovative approach to photojournalism has earned them a place amongst the most progressive photographers working on the frontline today. 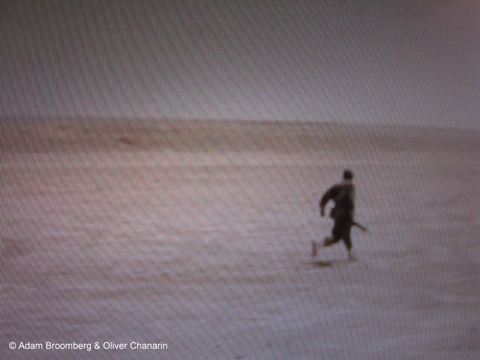 Adam Broomberg and Oliver Chanarin were embedded with the British Army in Helmand Province, Afghanistan last June. They were skeptical of their role as embedded journalists and of the particular narrative of the war they were expected to illustrate. They will be presenting this recent project (The Day Nobody Died), as well as earlier works produced in Iraq (The Red House) and Israel (Chicago). £10 in advance / £12 on the door.